Banyana voted 2017 CAF Women's national team - SABC News - Breaking news, special reports, world, business, sport coverage of all South African current events. Africa's news leader. Banyana Banyana’s star keeps on shining bright, the Desiree Ellis-led team won the 2017 COSAFA Women’s Championship in September. And three months later, they were crowned Africa’s women’s team of the Confederation of African Football Awards ceremony in Ghana. The South African women’s football team hoisted the country’s flag sky-high in Accra on Thursday night. Banyana Banyana was voted 2017 CAF Women’s National Team of the Year. They were a cut above the rest as they beat Ghana and Nigeria’s under-20 teams to the award. 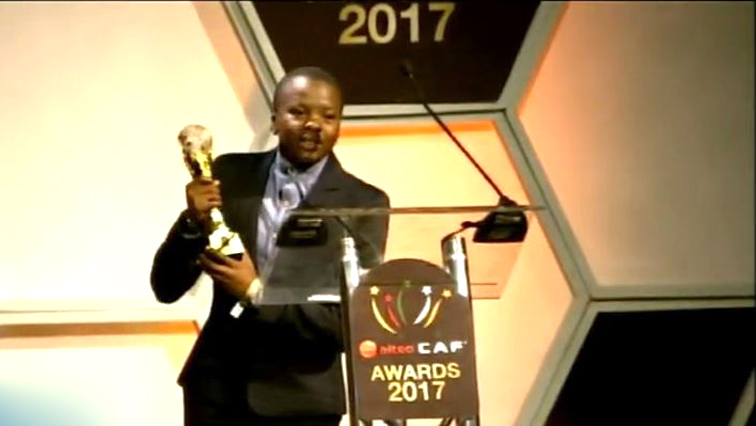 Noko Matlou and Thembi Kgatlana accepted the award on behalf of Banyana Banyana. Kgatlane was nominated for the CAF Women’s Player of the year but she lost out to Nigeria’s Asisat Oshoala. Liverpool’s Egyptian forward, Mohamed Salah, was named African Footballer of the Year. Salah won the coveted award ahead of his Liverpool team-mate Sadio Mane of Senegal and Borussia Dortmund’s Gabonese marksman, Pierre-Emerick Aubameyang. The 25 year-old Salah helped Egypt reach the African Nations Cup final and qualify for 2018 World Cup in Russia. Egypt took home the Men’s National team of the year award and Wydad Casablanca was named Africa’s Club of the year. Egypt’s Hector Cuper and Zambia’s Patson Daka were named the coach of the year and Youth Player of the year, respectively. This entry was posted on 05 Jan 2018,08:19PM at 8:19 PM and is filed under Sport, Soccer, Homepage Featured Story Slider. You can follow any responses to this entry through the RSS 2.0 feed. Both comments and pings are currently closed.